In this sequel to the dazzling time-travel romance Into the Dim, sacrifice takes on a whole new meaning as Hope and Bran struggle to determine where—or when--they truly belong. Read my review of the first book, Into the Dim! Sparks of Light—the darker and more serious sequel to Into the Dim—was simultaneously adventurous, calamitous, and tragic. This time around, the Viators are traveling to New York City during The Gilded Age, (which was somehow less fun than England in the Middle Ages. Imagine that? xD) and significantly more ominous. As with the first installment, I adored how Taylor intertwined real history into the plot. Her interpretation of real historical characters—as well as their backstories—was incredible. Janet B. Taylor bravely and fiercely tackles many of the societal hardships of the time in a heart-wrenching and realistic manner. Though I did miss some of the lighter and more romantic aspects that were in book one, following Hope on her journey to becoming a full member of the Viators was marvelous. Overall, this was a fantastic, somber, and tumultuous sequel that I thoroughly enjoyed reading. I only hope that there will be a happy ending for these wonderful characters in the conclusion to this trilogy. 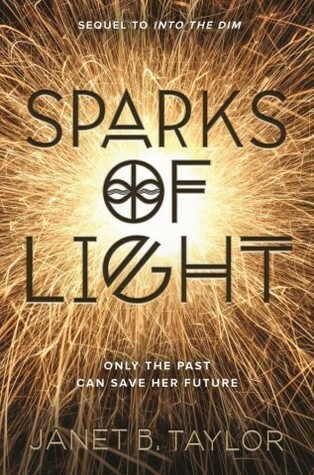 1) I loved all of the historical details and elements in Sparks of Light. Nikola Tesla, Thomas Edison, Conseulo Vanderbilt, and many more real historical figures are fantastically brought to life in this thrilling sequel. Taylor absolutely did her research on these people and wrapped their stories effortlessly into this masterful, time-traveling novel. For me, one of the most important key factors that mark a truly great historical fiction novel is that it should make you want to learn more about the real aspects featured in the book, and Sparks of Light was definitely successful in inspiring those feelings in me. 2) I knew that Taylor was amazing at fun and action-filled scenes, but in this book, we see a totally different, darker side to her writing style. She explores what mental facilities were like in the late 1800s, and it's intensely descriptive and eye-opening (FYI, this is a really bad pun, and when you read this book . . . you will not thank me for it, haha). Due to all the psych classes I took back in college, I already knew about all of these disturbing details, but Taylor was able to bring these horrors to life. I was immensely impressed and terrified—all at the same time! 3) While the first book highlighted some Scottish culture, Sparks of Light showcased more of the Highlander lifestyle. Thanks to Into the Dim and Outlander, I have a newfound appreciation for Scotland, it's history, and it's culture, so I utterly enjoyed seeing more of these facets in this story. 4) One of my favorite things about Into the Dim are the female characters, and that is still true for the sequel. People constantly call for "strong female characters" but Taylor has all kinds of women in her stories. Some are strong, some are vulnerable, some are spunky, sassy, quiet—you name it—and there are female characters with some or all of these traits. I like that message, because there isn't just one way to be strong, as strength comes in many forms. We, as a society, need all kinds of depictions of female strength, and in Janet B. Taylor's books, that is never in short supply. 5) While I am the biggest scaredy-cat in the world, the creepy details in in this book were on par with books like The Unbecoming of Mara Dyer by Michelle Hodkin and The Madman's Daughter by Megan Shepherd. There is even a section in Sparks of Light about some of the horrors that occurred in women's mental institutions in the late 19th century that reminded me a lot of The Changeling movie—in the very best way! Describing different types of stomach-churning details could easily be written to sound cheesy or unrealistic, but Janet absolutely nails it by sincerely bringing some of my worst historical fears to fruition. It was brilliantly executed, and truly frightening. 1) I didn't like how the other characters kept trying to reassure Hope that Bran loves her. I would have preferred if we simply saw more proof that he cares for her than being told over and over that he does. 2) I desperately wanted to see the characters explore more of The Gilded Age in New York City, because I felt as if I didn't see enough of it, versus how much of the setting Janet explored in Into the Dim. "Ick?" Collum closed his eyes and pinched the creased skin between his sandy brows. "So what you're saying is that when you get into trouble on a mission, you'll simply . . . what? Call a time-out?" His voice went high-pitched in the worst American accent I'd ever heard. "'Excuse me! Hello, all you murderers. Could you please stop swinging at me for a moment, please? I've a muddy bum.'" "There," he said. His hand smoothed over my hair as he smiled down at me. "Now it's forever." Loved the Dim, waiting with bated breath for Sparks. Thank you! I wasn't thrilled with the romantic aspects but everything else was good so that's okay! Thanks for stopping by! I loved the first book! I have the e-galley, or can download it, but I'll wait till closer to the publishing date, or at least until the summer. Great review! MY GOD. Into the Dim was one of my most highly anticipated books last year but I just never got around to reading it. So sad. It was also one of my most anticipated books last year, and it totally lived up to my expectations :) I hope you get around to reading it soon! Wonderful review. I already have so many series that I need to catch up on that I doubt I'll get around to this one for a while but it does sound amazing. I remember seeing Into the Dim around, didn't know the sequel was out. It does sound like a darker take. Glad this one was good. Nice to see some Scotland too (love that GIF)! Well this book isn't out until August, so you have plenty of time to go and read Into the Dim, which I definitely recommend :D Thank you! I remember reading Into the Dim and liking it but not being amazed. That being said, I'm intrigued by it being a bit darker and more serious! 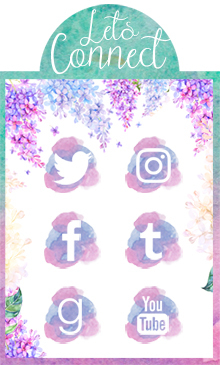 That teaser is super cute! Lovely review, Brittany! Thank you so much! I'm glad you enjoyed it :) And maybe give this one a try sometime? It's definitely very different than the first book. Eee, I just got my hands on this book so I could read them both back to back. I love historical stories that touch on real people's lives, makes it so much more fascinating to me. (Probably why I am loving the show Timeless right now :D). Great review, you've made me even more excited to read these! I never read Into the Dim. I didn't really read much reviews for it and I think that's why it faded from my attention but wow! I obviously should get it! I didn't even know there was a sequel. First We Were IV Blog Tour: Excerpt + Giveaway!